We can't wait to see Black Cat in action! Hungry for more Spider-Man on the PS4? You won’t have to wait much longer, as the first of three DLC packs for Marvel’s Spider-Man is coming out next week! 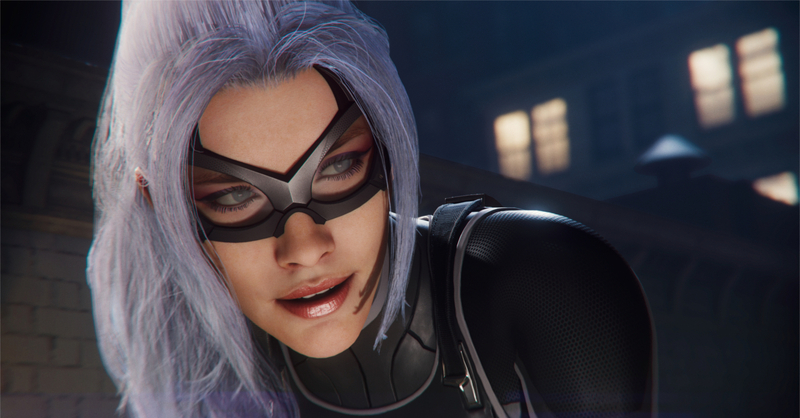 Entitled The Heist, the first part of the “City That Never Sleeps” DLC, and it will finally introduce Black Cat into the game. Aside from including an all-new storyline, it will also feature three new Spidey Suits! 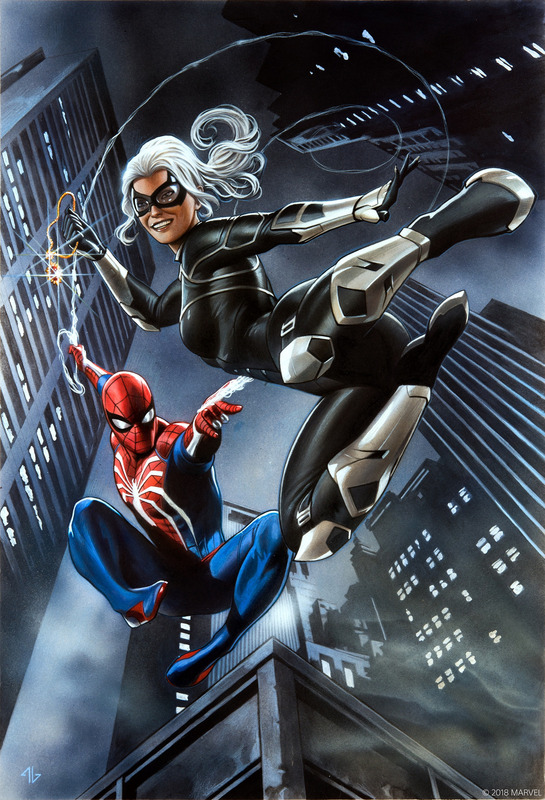 If you’ve played through Spider-Man (or even 100% completed the game), you probably already know that Felicia Hardy (aka Black Cat) had a series of side quests in the game, though she herself does not make an appearance. This all changes with The Heist though, as Spidey and MJ will meet Felicia in an art museum robbery. As with the original Black Cat in the comics, Felicia is confirmed to be a past love interest of this universe’s Peter Parker, making their meeting all ‘The Heist’ more exciting! What’s also exciting are the three new Spidey suits, one of which is designed by amed Marvel illustrator Gabriele Dell’Otto — the Resilient Suit. 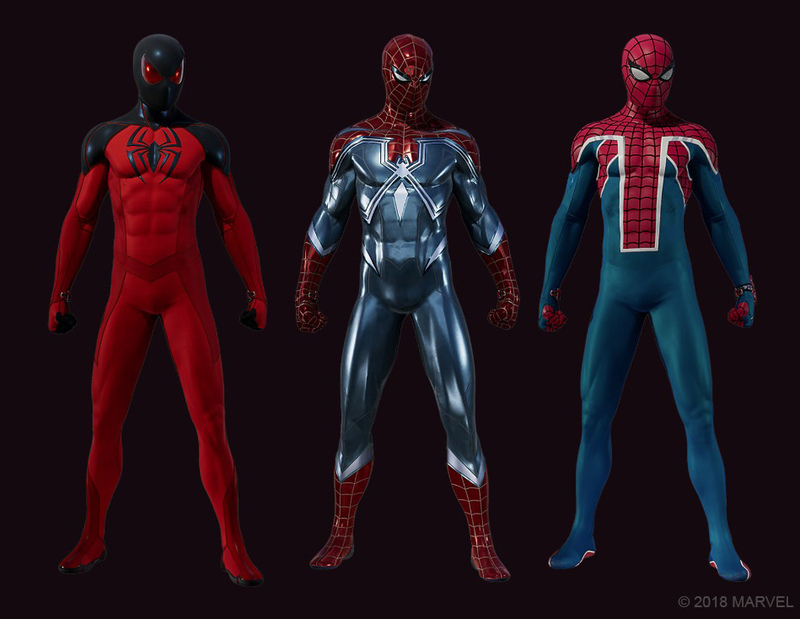 The two others suits are the Scarlet Spider II and the Spider UK suit. The Heist will be released this October 23, 2018 for $10 USD on the PlayStation Store. The full DLC pack is also available for pre-order now with a bundle price of $24.99 USD. The Heist and the rest of the add-ons are free for Marvel’s Spider-Man Digital Deluxe Edition and Collector’s Edition owners.